One artist who everyone seems to agree is a premier contributor and creator of bass is Liquid Stranger, the Swedish-born father of all that is weird and wonderful. When his childhood roots in classical music met his interest in Atari games and computer software, Swedis-born producer Martin Staaf began his experimentations with multiple genres and EDM, culminating the in the release of his debut album The Invisible Conquest under the name Liquid Stranger in 2007. Twelve years and twelve albums later, Staaf is gearing up to hit the road on the 2019 Infinity Tour in support of his brand new album of the same name. A pioneer of 'Transitional Dubstep', Staaf is inspired by and uses sounds from Latin, Asian, Jamaican Dancehall and Eastern European dubs, as well as Ambience, Big Band Swing and Psychedelia, merging genres to create his own unique style. 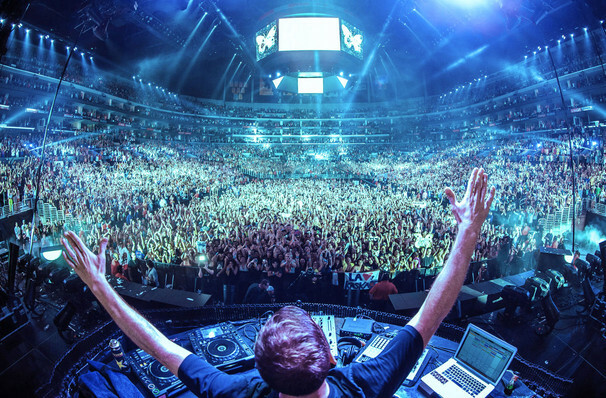 When it comes to his live shows, expect bone-shaking bass lines, retina-searing light shows and euphoric drops. Seen Liquid Stranger? Loved it? Hated it? Sound good to you? 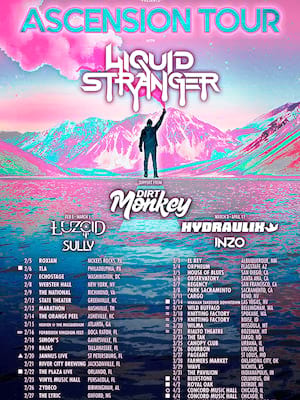 Share this page on social media and let your friends know about Liquid Stranger at Concord Music Hall. Please note: The term Concord Music Hall and/or Liquid Stranger as well as all associated graphics, logos, and/or other trademarks, tradenames or copyrights are the property of the Concord Music Hall and/or Liquid Stranger and are used herein for factual descriptive purposes only. We are in no way associated with or authorized by the Concord Music Hall and/or Liquid Stranger and neither that entity nor any of its affiliates have licensed or endorsed us to sell tickets, goods and or services in conjunction with their events.